One of the greatest things about exploring is that you can come across some amazing places. 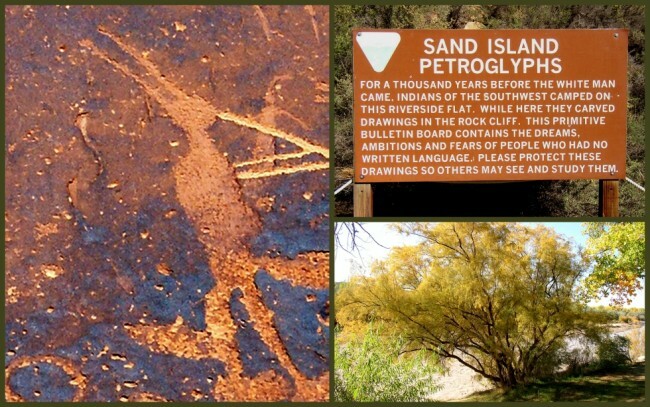 On an early trip to Utah (2005) I had the honor of getting to see the Sand Island Petroglyph Panel near one of my favorite out-of-the-way towns, Bluff. 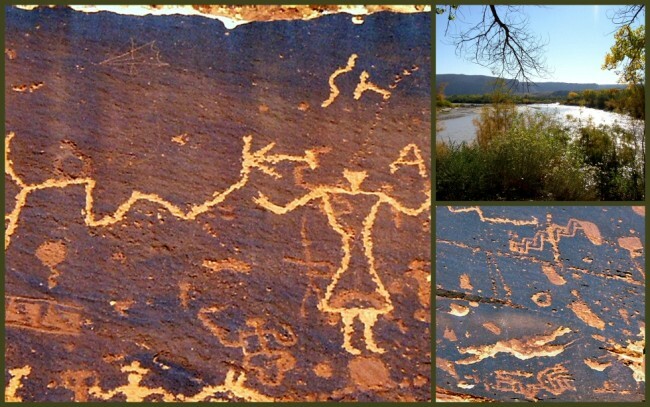 This place is one of the very best, easily-accessible areas with Anasazi rock art. 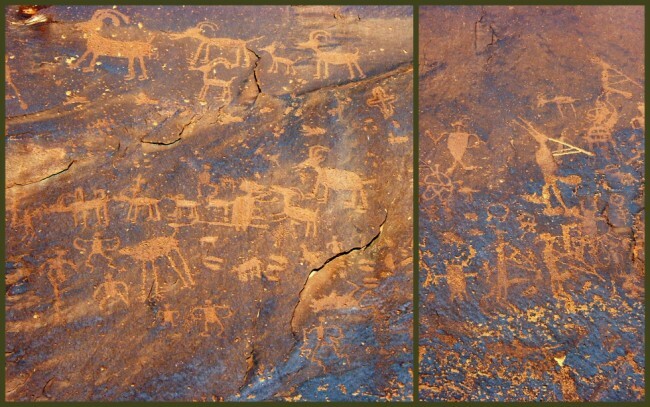 Located just three miles south of Bluff in the BLM Sand Island Recreation Area, this wonder displays art from all periods of human habitation in the Four Corners, some being as old as 6,500 BC by carbon dating estimates. This area is a favorite among rafters who use it as a launching point for excursions along the San Juan River. The panel, stretching for over 100 yards features everything from animals to geometric shapes to drawings of humans, including an obvious Kokopelli. If you’re ever in the area this site is well worth the effort to see. Please respect it and adhere to the regulations designed to protect it. Like so many remote places this one has been defaced by uncaring people from our time, a sad testament to modern man. Last modified on: December 10th 2015.